Hello! 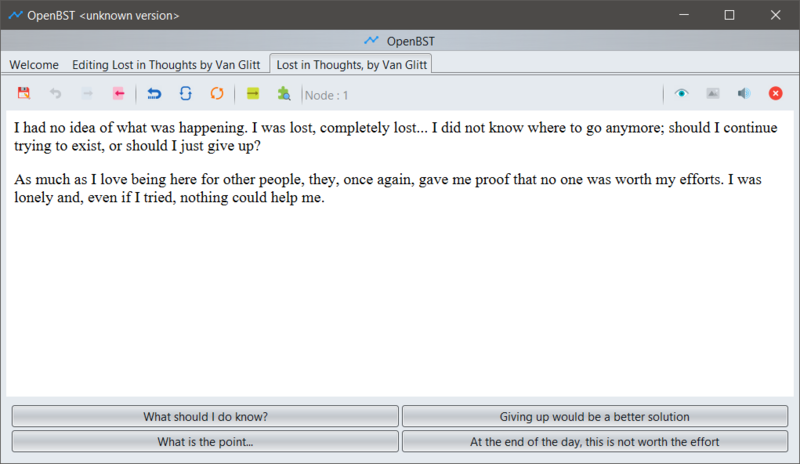 I am utybo, creator and developer of OpenBST, an interactive fiction system/app that comes with its own syntax called BST. This is the most basic example possible. You could also add some scripting to it. [code]1:There is a tree in front of you. 2:You have punched the tree enough times for it to fall down, and you can now continue onto your next journey. Don’t like using text files? OpenBST currently has an experimental editor that can be used to make some basic stuff. A syntax highlighter is also available for Atom. OpenBST is a personal project I’ve put a lot of work into. Feel free to look into it with your eyes if a newish project is of interest to you! 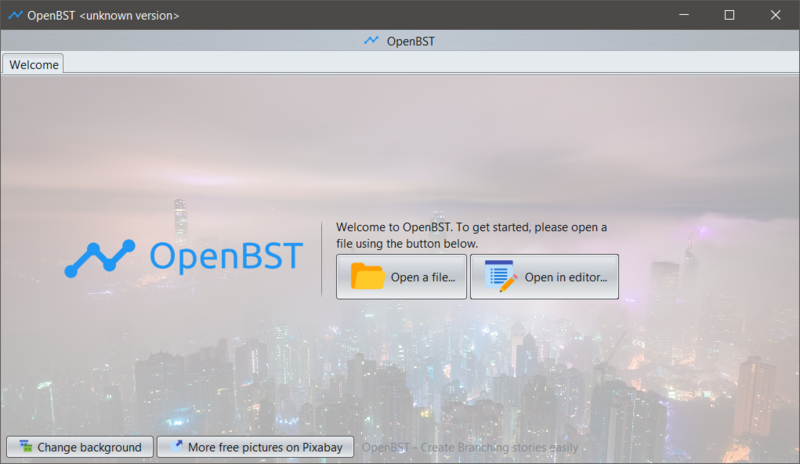 OpenBST is 100% free and open source. The website has more info on a lot of stuff, including release notes, and is also where you can download OpenBST, the full tutorial, and the cheatsheet/reference : CLICK HERE! Links : Website | GitHub repository | Bugs? | Wanna chat?